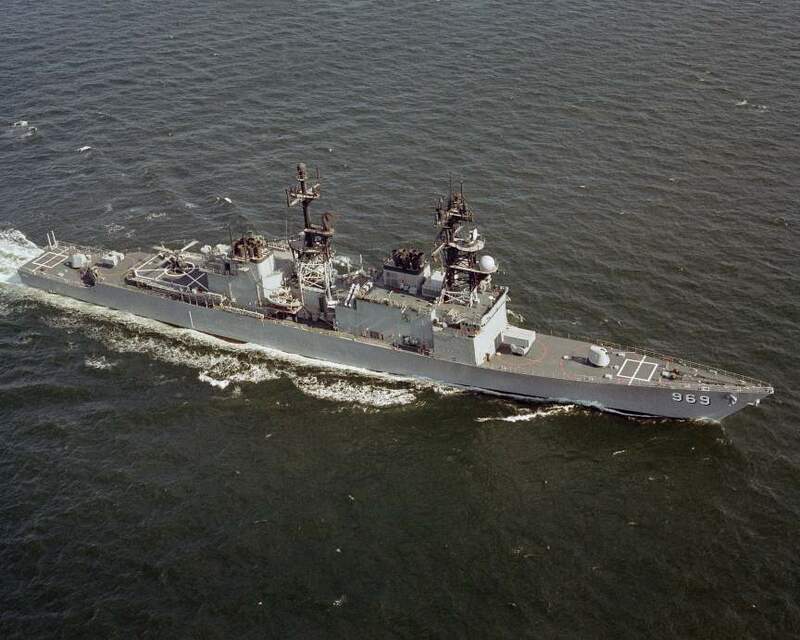 USS PETERSON was the seventh SPRUANCE - class destroyer built and the first ship in the Navy named after Lieutenant Commander Carl Jerrold Peterson. 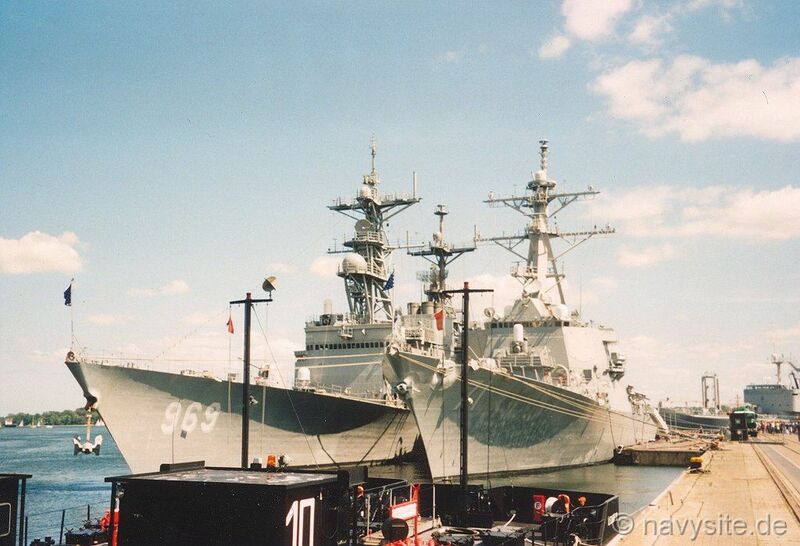 The destroyer was last homeported in Norfolk, Va. Decommissioned on October 4, 2002, and stricken from the Navy list on November 6, 2002, the PETERSON spent the following months at the Naval Inactive Ship Maintenance Facility (NISMF), Philadelphia, PA. On February 16, 2004, the PETERSON was finally sunk as a target as part of the DD 21 Program Weapons Effects Test. This section contains the names of sailors who served aboard USS PETERSON. It is no official listing but contains the names of sailors who submitted their information. 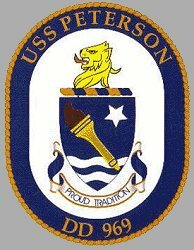 Click here to see which USS PETERSON memorabilia are currently for sale on ebay. 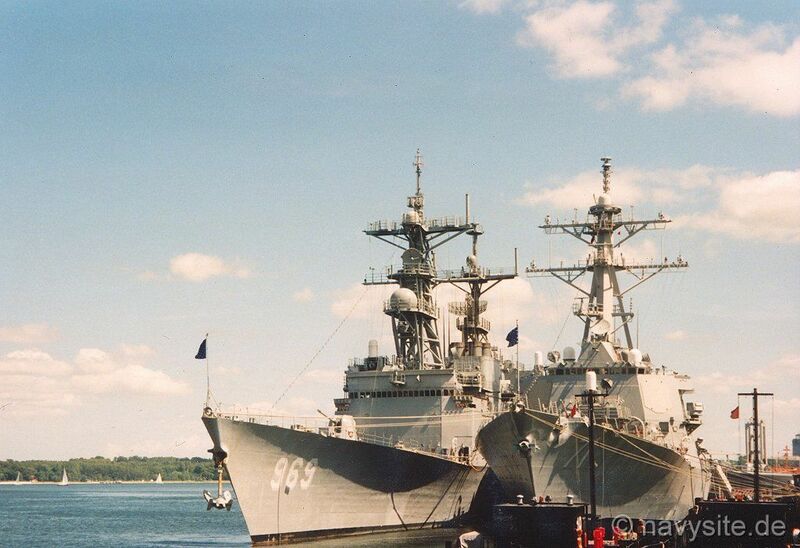 USS PETERSON (DD 969) was commissioned 9 July 1977 in Pascagoula, Mississippi. In 1978, the ship was named runner-up for the Destroyer Squadron Ten Battle Efficiency "E". In 1979 PETERSON made her first deployment which included duty as flagship for Commander, Middle East Force in the Arabian Gulf and Indian Ocean. Upon return to Norfolk, she learned that she had been awarded Destroyer Squadron Ten's 1979 Battle "E". PETERSON spent her second deployment from September 1980 until March 1981 in the Arabian Gulf. PETERSON returned to the Mediterranean Sea on 1 December for her third deployment in three years. 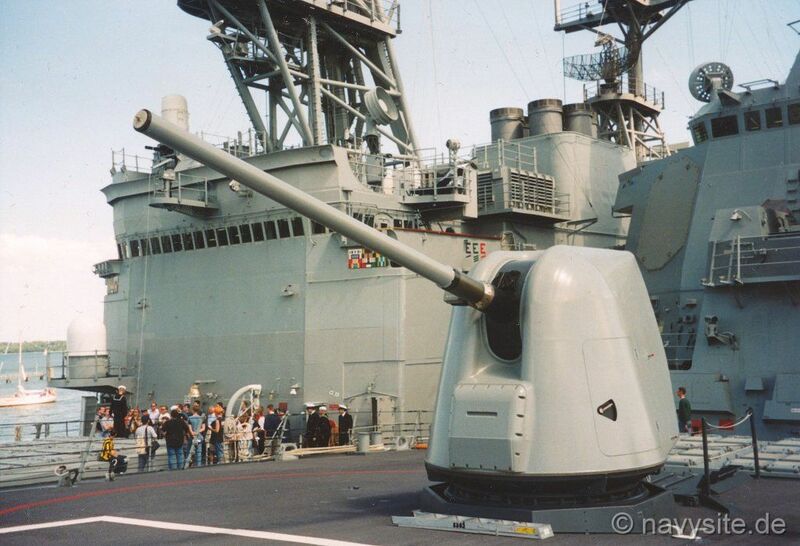 During a nine month overhaul starting in July 1982, PETE's weapon systems were upgraded to include the Mark 23 Target Acquisition System (TAS), two 20mm VULCAN PHALANX Close-In Weapons System (CIWS) gun mounts, and an enhanced communication and electronics suite. "Proud Pete" was awarded the Armed Forces Expeditionary Medal for her role as Naval Gunfire Support Ship off the coast of Beirut, Lebanon as part of the USS SARATOGA (CV 60) Battle Group in April, 1984. In the Fall of 1985, she participated in the NATO exercise "Ocean Safari" in the North Atlantic Ocean earning the title of "Blue Nose" for crossing the Arctic Circle, and also the Meritorious Unit Commendation for exceptional performance. In 1986, PETERSON deployed to the Mediterranean Sea with the USS AMERICA (CV 66) Battle Group and performed Search and Rescue duties during combat operations in the vicinity of Libya. She was awarded the Navy Unit Commendation for her efforts. During PETERSON'S 1988 deployment, she served as the flagship for Commander, Destroyer Squadron Twenty-Six and operated with the British, French, German, Spanish, and Tunisian Navies. She visited Constanta, Romania, and was praised for her extensive surveillance of the former Soviet Union's new "Kiev" class aircraft carrier BAKU. PETERSON's 1990 deployment began in the Mediterranean Sea with the USS DWIGHT D. EISENHOWER (CVN 69) Battle Group, visiting Naples, St. Maxime, Palma, and Tunis. When civil war broke out in the western African nation of Liberia, PETERSON was called upon to make a high-speed transit to the area with embarked Marines to stand by to evacuate American citizens. For the rest of the deployment "Proud Pete", assisted in the evacuation of more than 1600 refugees with USS SAIPAN (LHA 2) and her Marine Amphibious Readiness Group, before returning home in September. 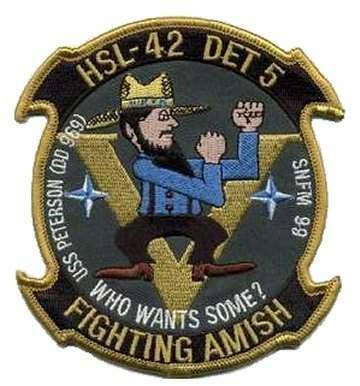 On 15 March 1991, PETERSON commenced a thirteen month overhaul at Ingalls Shipbuilding Company, Pascagoula, Mississippi. 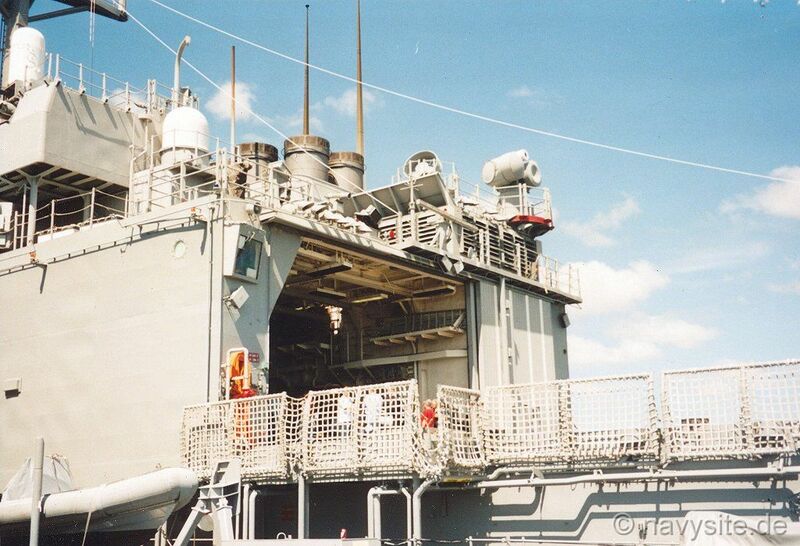 Modifications included installation of the Mk 41 Vertical Launching System, SQQ-89 Tactical Towed Array Sonar System and double RAST tracks to support two LAMPS Mark III, SH-60B Seahawk helicopters. 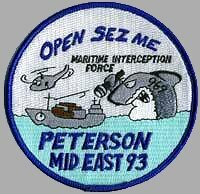 On 16 February 1993, PETERSON commenced a six month Middle East Force deployment in the Red Sea where she intercepted and boarded 247 vessels in support of United Nations sanctions against Iraq. 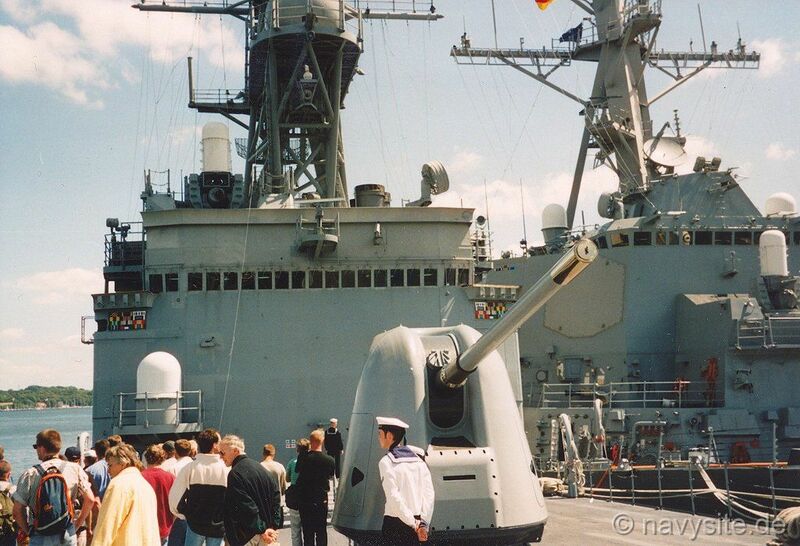 In response to Iraq's attempted assassination of President Bush, USS PETERSON successfully launched 14 Tomahawk missiles on 26 June 1993, as directed by the Joint Chiefs of Staff. 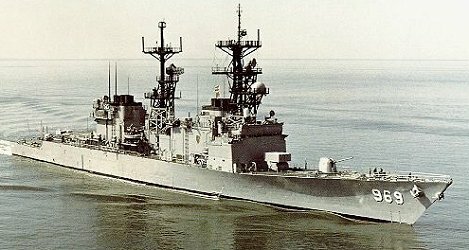 PETERSON earned Destroyer Squadron Two's Battle Efficiency award for 1993. July and August of 1994 saw PETERSON off the coast of Haiti where she provided support for Operation Support Democracy. 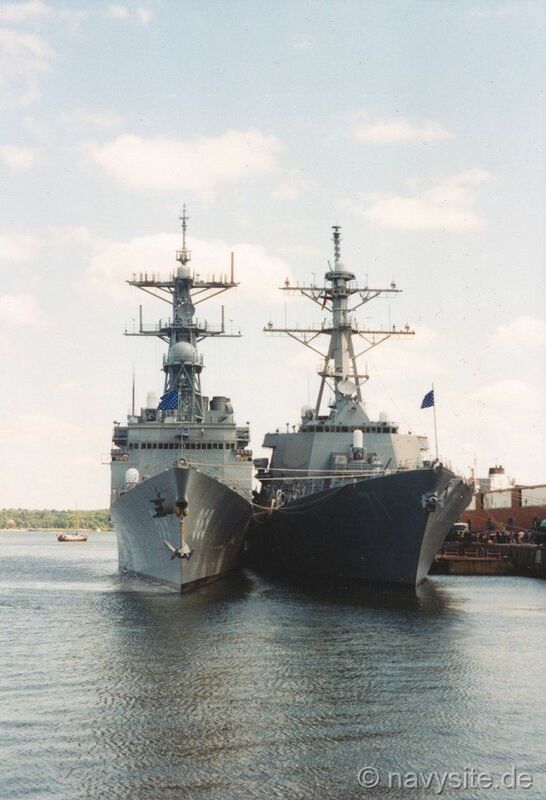 On 14 April 1995, PETERSON returned to Norfolk, Virginia culminating a highly successful Mediterranean Sea deployment as a member of the USS DWIGHT D. EISENHOWER battle group. While on deployment, PETERSON played an active role in several community service projects including the highly visible "Project Handclasp" program. On 22 October, PETERSON commenced a three and a half month SRA which included the installation of the state of the art Advanced Tomahawk Weapons Control System (ATWCS). PETERSON earned Destroyer Squadron Twenty-Eight's Battle Efficiency award for 1995. June and July of 1996 saw PETERSON off the coasts of Central and South America in the Eastern Pacific Ocean for Counter-Drug operations. During this employment, the PETERSON crew enjoyed a "Crossing the Line" ceremony, in sight of the Galapagos Islands. After returning home, she began the training cycle in preparation for the next deployment. 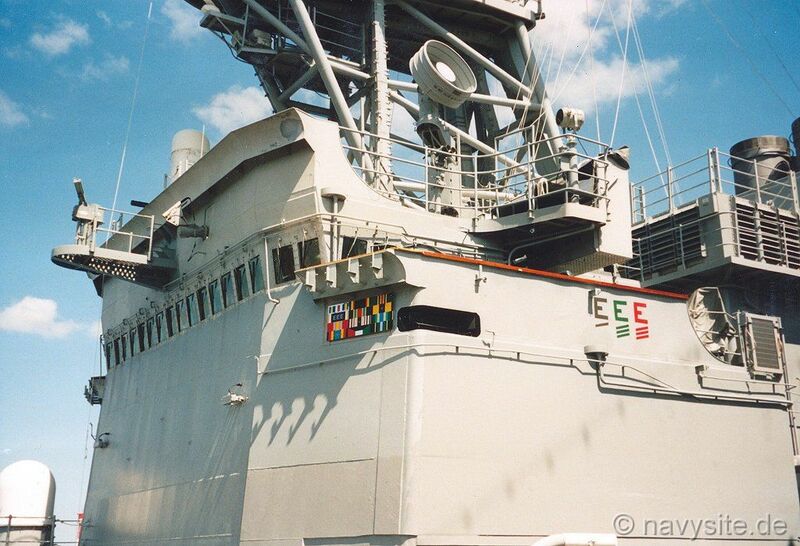 On July 7, 1997, PETERSON deployed with the NATO Standing Naval Force, Atlantic (SNFL) for a six month deployment, operating in the Caribbean and Mediterranean Seas, and Eastern Atlantic Ocean. She conducted numerous exercises with British, German, Dutch, Spanish, Portuguese, Canadian, and Italian ships. The SNFL force traveled to ports all over the Caribbean Sea, Mediterranean Sea, and Western Europe in support of NATO. PETERSON's next deployment, in the summer of 1999, again saw her representing the United States in a NATO force. This time she was the flagship for the Commander Standing Naval Force Mediterranean (SNFM) and spent the initial two months of her deployment in the Adriatic off the coast of Kosovo in support of Operation "Allied Force" for which PETERSON was awarded the Navy Unit Commendation. Once the peace process in Kosovo unfolded, PETERSON along with SNFM ships from England, Spain, Italy, Greece, Turkey, Netherlands, and Germany visited many Mediterranean ports. The turn of the millenium saw PETERSON in an extensive shipyard availability. From January through April she completed the maintenance and repairs needed for her main engine spaces along with her flight decks and anchor chains. 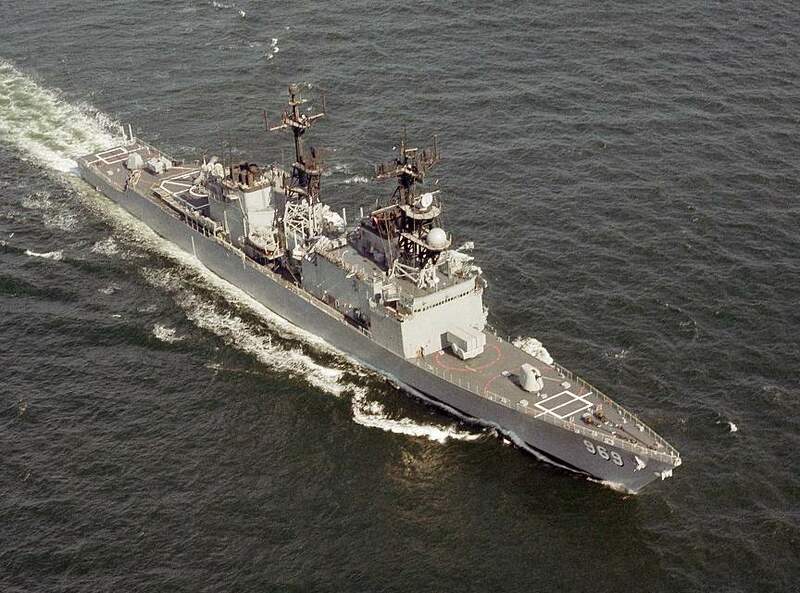 PETERSON's first underway obligation during the year 2000 was May 15 for Baltic Sea Operation (BALTOPS), where she continued her NATO tradition by steaming with the USS ROSS (DDG 71) and warships from various European countries. Before returning to Norfolk in late June, PETERSON conducted port visits to Le Havre, France; Stockholm, Sweden, and Kiel, Germany. 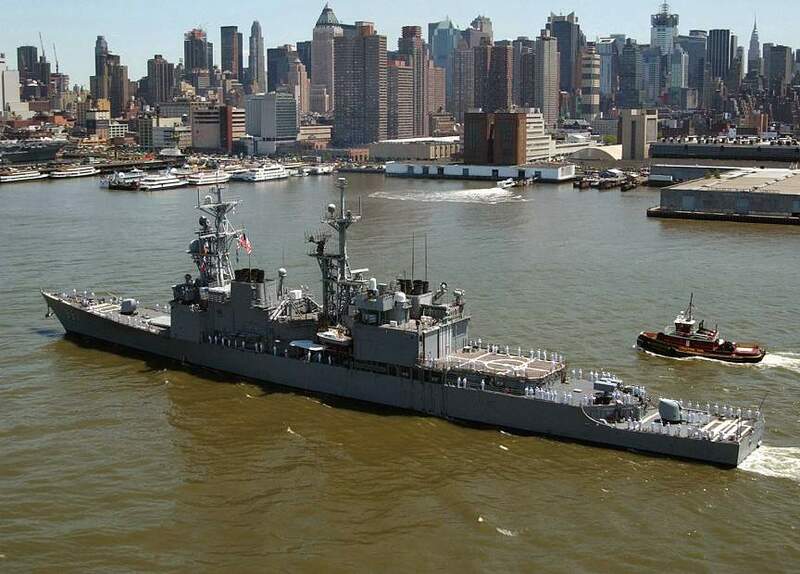 USS PETERSON took part in Exercise Unified Spirit 2000 and Joint Task Force Exercise (JTFEX) 01-1 in October 2000. The combined exercise, which took place in the waters off the US East Coast and in the Caribbean, began October 9 and concluded on October 26. It included the USS HARRY S. TRUMAN (CVN 75) Battle Group, USS NASSAU (LHA 4) Amphibious Ready Group and 14 NATO ships from Canada, France, Germany and the United Kingdom. PETERSON departed Norfolk, VA, on September 19, 2001, as part of the USS THEODORE ROOSEVELT (CVN 71) Aircraft Carrier Battle Group (CVBG) for a scheduled six-month deployment, and in support of Operation Enduring Freedom. For the previous eight months, PETERSON had trained with the CVBG in preparation for this deployment through a series of increasingly demanding exercises and operations. These pre-deployment exercises had culminated the previous month with the successful completion of Joint Task Force Exercise 01-3. The aim of Unified Spirit, which is held every four years, was to train forces and the Combined Joint Task Force (CJTF) headquarters staff in the planning and conducting of a NATO-led out-of-area United Nations Charter Chapter VII Peace Support Operation. It was a key element in the NATO four-year CJTF headquarters training cycle. During the exercise, forces were faced with two quickly developing scenarios in two different regions. One was a peace support operation between two fictional former warring nations, and the other involved open hostilities in the fictional states of "Kartuna" and "Korona." Both scenarios stressed the ability to react to high-threat environments requiring air, naval and ground operations. They incorporated surveillance, reconnaissance and other missions, including humanitarian assistance, maritime interdiction, embassy support and a non-combatant evacuation. 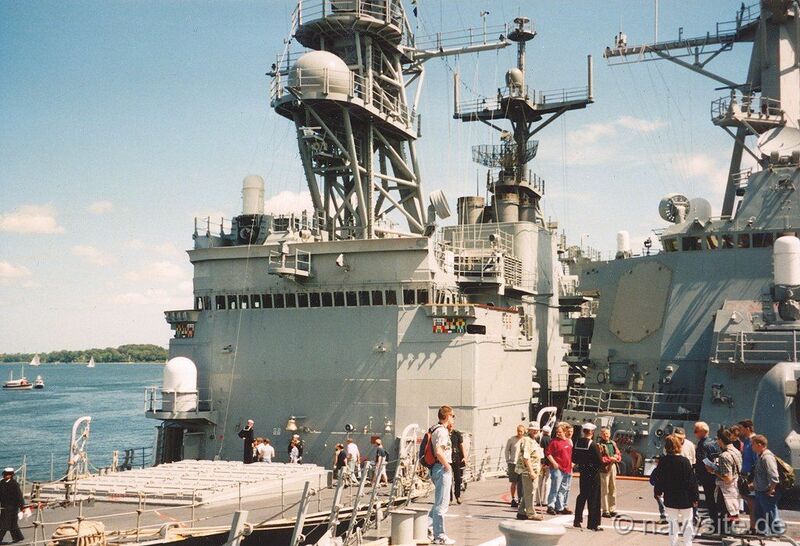 The Battle Group returned to the US in March 2002 and on October 4, 2002, PETERSON was decommissioned. PETERSON was homeported in Norfolk, Va., and was a member of Commander, Destroyer Squadron Twenty-Eight, serving as flagship for the Commodore and staff. Two sailors, members of an eight-men security team from USS PETERSON, were killed when a tanker they had boarded sank in international waters in the northern Persian Gulf. The vessel was believed to be smuggling Iraqi oil in violation of United Nations Security Council sanctions against Iraq. The suspect vessel, Motor Vessel SAMRA (also known as M/V NAVIGATOR I), was being watched by PETERSON's security team while enforcing the sanctions against Iraq. Six PETERSON security team members and 10 M/V SAMRA crewmembers were recovered safely by Navy ships operating in the region. The search also continued for three additional M/V SAMRA crewmembers. One M/V SAMRA crewmember was found dead during the rescue and the body was recovered. The two missing sailors of PETERSON's security team were identified as Engineman 1st Class Vincent Parker, 38, of Preston, Miss., and Electronics Technician 3rd Class Benjamin Johnson, 21, of Rochester, N.Y.
USS PETERSON is named in honor of the late Lieutenant Commander Carl Jerrold Peterson, the son of Captain and Mrs. Carl A. Peterson, USN, Ret., of Texedo Park, New York, born on October 31, 1936. He received a Bachelor of Science degree from the United States Naval Academy and was commissioned an Ensign in June 1958. He then served successive tours at sea in USS McCAFFERY (DD 860) and USS ARNEB (AKA 56). In June 1962, Lieutenant Commander Peterson was assigned to the office of the Chief of Naval Operations, and in 1964 to the staff of Commander Middle East Force. From 1966 to 1968 he served with distinction as Operations Officer in USS OGDEN (LPD 5) and participated in eight major amphibious assaults against enemy forces in Vietnam. 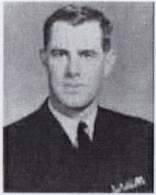 Lieutenant Commander Peterson was credited with developing the command and control techniques for debarking troops simultaneously by air and sea amphibious transports successfully employed in these assaults. In December 1968, Carl Peterson volunteerd for duties in Vietnam and subsequently commanded Patrol River Boat Squadron 57 operating in the waterways of the Mekong Delta. Lieutenant Commander Peterson was singularly responsible for the success of many joint quick reaction operations designed to draw out and destroy enemy forces. On April 2, 1969, while embarked in an assault support boat transiting the Vam Co Dong River to his command center in USS HARNETT COUNTY (LST 821), Lieutenant Commander Peterson was mortally wounded when an enemy rocket detonated against his vessel. The lighted torch of freedom is symbolic of leadership and guidance, and in suggesting �passing the torch from one generation to another� is also symbolic of tradition. In this instance, it further refers to Operation Beacon Torch when Lieutenant Commander Carl J. Peterson, United States Navy, in whose honor the USS PETERSON (DD 969) is named, was attached to and served on USS OGDEN (LPD 5) as Operations Officer from 6 March to 10 August 1967 during combat operations against enemy forces in Vietnam. By his personal drive, thoroughly competent grasp of amphibious doctrine, imagination and exceptional ingenuity, he played a major role in pioneering, developing and perfecting a procedure which became standard in later amphibious landings. As on-scene Commander in planning and coordinating the operations of three River Patrol Boat Divisions, he was killed in action on 2 April 1969 on the Vam Co Dong River. The placing of the torch �in bend" on the shield is indicative of a badge of honor for leadership and command. The star, five pointed with one point to base as worn by line officers in the United States Navy, is symbolic of authority, direction, achievement and merit. It also infers insight and knowledge of past, present and future and thus signifies the continuity of tradition. The wavy lines allude to water and the oceans and waterways of the world. The lion is symbolic of courage, tenacity and magnanimity. (A �lion�s head erased" also appears on the shield of the coat of arms of the USS HARNETT COUNTY (LST 821) which served as Lieutenant Commander Peterson's base of operations and from which he traveled to advanced tactical sites to obtain firsthand insight into the difficulties encountered by his Division Commanders in connection with operations against the enemy from 29 December 1968 to 2 April 1969). E/V NAUTILUS is a research vessel exploring the ocean studying biology, geology, archeology and more. In July 2014, the crew of E/V NAUTILUS discovered a large unknown sonar contact in the western Atlantic which was later identified as the wreck of USS PETERSON (DD 969). 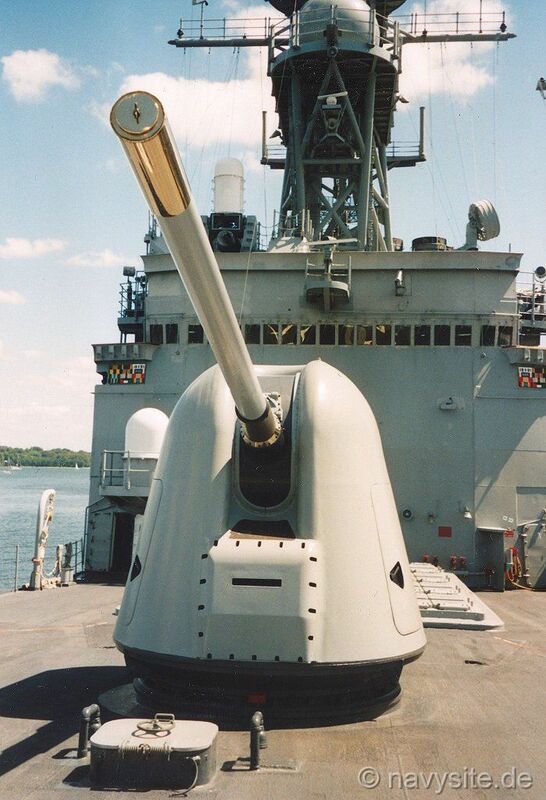 The destroyer was sunk as a target on February 16, 2004, as part of the DD 21 Program Weapons Effects Test. The video below shows a dive to the ex-PETERSON. Don't listen to the audio comments in the video...these folks didn't know what they were talking about. 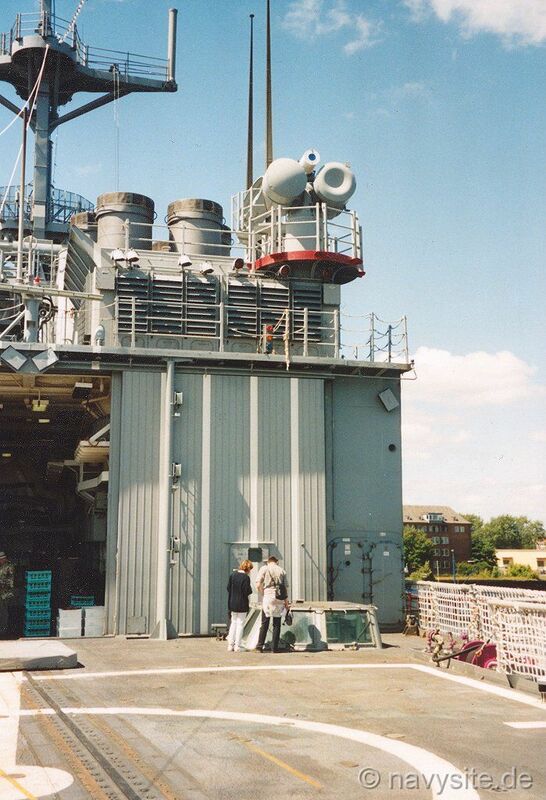 All the following photos were taken by me during PETERSON's port visit to Kiel, Germany, during the Kiel Week celebrations in June 2000. PETERSON and USS ROSS (DDG 71) had just completed the maritime exercise BALTOPS 2000 and the port visit marked the end of the exercise.